The ILS Hospitals Dumdum is a six storied, 113 bedded multispecialty hospital, having a built-up area of 66,940 sq. feet. It has 4 major Operating Theatres covering all major surgical domains as well as ICU, CCU & HDU facilities. Advanced imaging services like 128 Slice CT, 1.5 Tesla MRI & more and well-equipped triage and Pathology all under one roof. Hospital offers 24×7 Emergency, Dialysis, Radiology, Cath Lab and Retail pharmacy services. 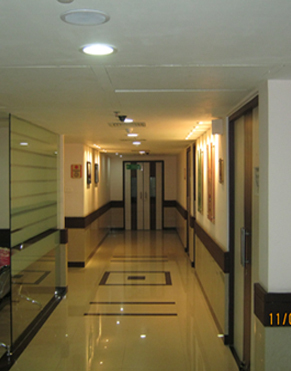 The Hospital building complies with all statutory norms including fire safety & bio-medical waste management. It provides advanced and quality treatment at an affordable price.